Navigating Medicare can be overwhelming. Especially this time of year, during the annual open enrollment period. If you’re considering a Medicare plan, you probably have a lot of questions. I’ve worked with Blue Cross and Blue Shield of Nebraska’s Medicare plans for several years. Here are some frequently asked questions. Q: What should I know upfront about Medicare Advantage? Tom: You’ll need to consider what your needs are and how you are going to use your coverage. 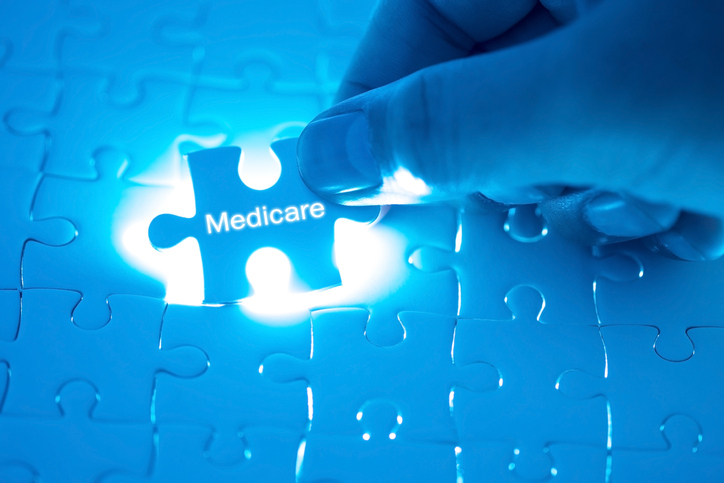 Q: Can I switch between Medicare Advantage and Original Medicare? Tom: Yes, during the annual Medicare open enrollment period, which is now through Dec. 7. Tom: Original Medicare pays about 80 percent of your medical expenses, meaning you are responsible for the other 20 percent, which includes your prescription drug costs. A Kaiser Family Foundation study found that Medicare recipients spend about $5,503 in total, out of pocket. Total out-of-pocket health care spending includes services and premiums for Medicare and private health insurance premiums. Q: What about Medicare Advantage plan costs? Tom: While Medicare Advantage plans can have $0 or low premiums, there are often co-pays and other expenses that you will need to consider. You will still pay your Part B premium, but many times your prescription drug coverage is included in your Medicare Advantage plan. Because of this, it is important to look at your prescription drugs and determine which plan is best for you. The median out-of-pocket amount for Medicare Advantage plans in 2016 was $5,800. The average Medicare Advantage Plan that included prescription drug coverage in 2018 was about $34 a month. Q: What are the extra benefits that can come with Medicare Advantage coverage? Tom: One benefit of a Medicare Advantage plan is that your Medicare benefits are under one card. This includes prescription drug coverage. Additionally, Medicare Advantage plan benefits must be at least equal to that of Original Medicare, but often include extra benefits such as dental, vision, hearing aids and gym memberships. Some include travel benefits as well. Q: Does Medicare coverage automatically renew each year? Tom: During the annual election period you can switch Medicare Advantage or Original Medicare plans if you wish. If you are happy with your current plan you do not need to take any action. Q: When can I join a Medicare Prescription Drug Plan? Tom: You should join as soon as you become eligible. You have a seven-month initial enrollment period. Three months prior to your 65th birthday, the month of your birthday and three months after. You can join or drop a plan during the annual enrollment period too. Q: Where can I get help figuring out Medicare? The good news is that you have a lot of options when it comes to Medicare coverages, but you likely will need help sorting them out and picking the one that makes the most sense for you. Ask questions and then decide on the plan that suits your needs best.